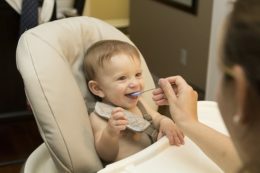 Lack of time among parents derived of changes in lifestyle, increase the demand of ready-to-eat products instead of fresh or natural food which could be a vital factor in the development of infants. HPP technology guarantees the elimination of pathogens without altering the nutritional value nor the flavour and the rest of the organoleptic properties of the original product. That is why, both food manufacturers and parents are opting for HPP products for kids and infants. The World Health Organization (WHO) recommends to feed babies during the first 6 months exclusively with maternal milk. 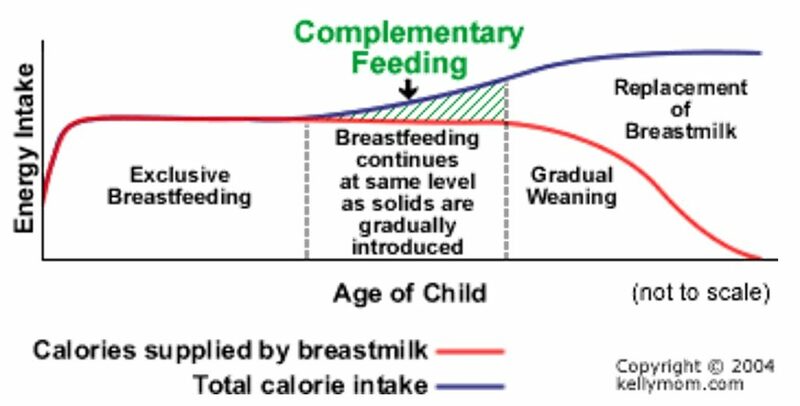 After that, a complementary diet should be started to accompany the maternal breastfeeding. This complementary diet is formed by any food product different to maternal milk such as juices, cereals mushes, vegetables purées, meat or fish, among others. Appropriate diet habits acquired during the first stages of life are essential. In the first 2 years, an optimal nutrition works out well for a healthy growth, improves the cognitive development and reduces overweight, obesity and non-contagious diseases risks. In addition, between 2 and 3 years of age, these habits will be set definitively and will be the basis for a healthy diet in the adult life. The gastric capacity of an infant is limited while his/her energetic requirements are really high. Thus, it is necessary to select the proper food both in terms of quality and quantity. 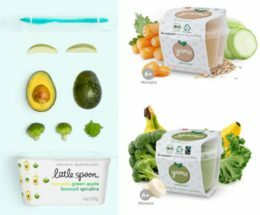 To build the habit of a healthy diet for kids with an energetic density of 0.8 kcal/g and a relatively low intake of maternal milk, the breastfed between 6 and 8 months should receive 2 or 3 meals per day; those between 9 and 11 months 2 or 4 meals and the infants between 12 and 24 months 3 or 4 meals as well, but with the possibility of including some snacks of nutritive character. In this stage of great vulnerability, the food of the complementary diet should be characterized its proper consistency and variety and should be provided with enough frequency and quantity to satisfy the nutritional needs of the infant. According to the WHO: “It is the time when malnutrition starts in many infants, contributing significantly to the high prevalence of malnutrition in children under five years of age world-wide.” Moreover, WHO estimates that 2 out of 5 children are stunted in low-income countries, something unacceptable in current days when food is considered a basic right for everybody. Current rhythm of life among parents could be really stressful, what brings them to reduce their time for cooking and try to find a healthy complementary diet on the shelves of supermarkets. This search is not irrational, on the contrary, they demand those products that cover the nutritional needs of their growing children. Their surprise comes when they realize the lack of variety of healthy diet for kids offered in the supermarkets. Instead, lots of over-processed tubs, pots or fruit purées with plenty of sugar, covering up the texture and flavour of fresh food, could be found easily. Therefore, it is not easy to introduce healthy habits when pre-cooked and over-processed products with excess of sugar come first than natural, traditional and minimally processed food. Furthermore, taken into account the nutritional risks and limitations of these wide spread products, the absence of control in their consumption could endanger the normal development of the kids. 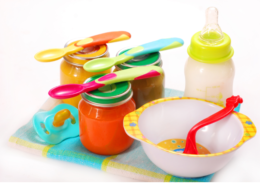 As an alternative solution, baby food treated with HPP guarantees freshness and safety, keeps the nutritional value and maintain all kind of textures and tastes that the infant can try out. Some of our clients such as Once upon a farm, The latin baby, Pure Spoon, Little Spoon, Yamo y Tiny Human Food trust in the HPP technology to offer prepared products for kids, helping to diversify their palates by providing different food in each spoonful and allowing them to discover a new world of high quality fruits and vegetables with great organoleptic properties that will be reflected in their future. If you wish to know more about our HPP technology and how it could be applied to your products, do not hesitate to contact us, we will be more than happy to assist you in the development of your idea.